British Columbia's Thompson Nicola begins at Sicamous in the east and follows the course of the Thompson and Nicola Rivers. This diverse area includes the Shuswap Lake region with over 1,100 km of navigable waterways and impressive beaches. The Thompson and Nicola Valleys include rolling hills with grasslands where ranches prosper. 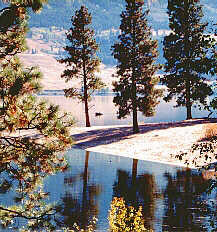 There are several national and provincial parks to explore in the region which offer a fisherman's paradise, with hundreds of lakes and streams to explore, and world famous Kamloops trout to catch. The wildlife is abundant, hiking ample and scenery stunning.